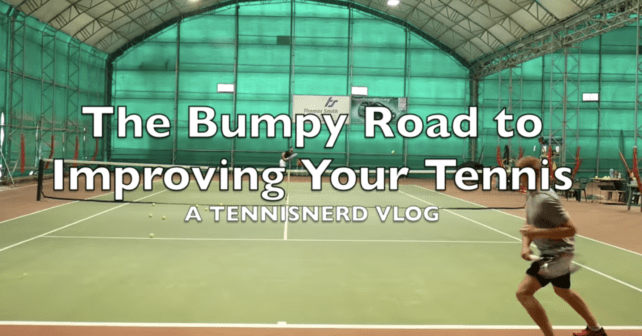 Yesterday I posted a slightly different tennis vlog called “The Bumpy Road to Improving Your Tennis”. In this video I wanted to talk about some the elements I’m working on and consequently struggling with. Keen to hear your feedback on more content of this type. 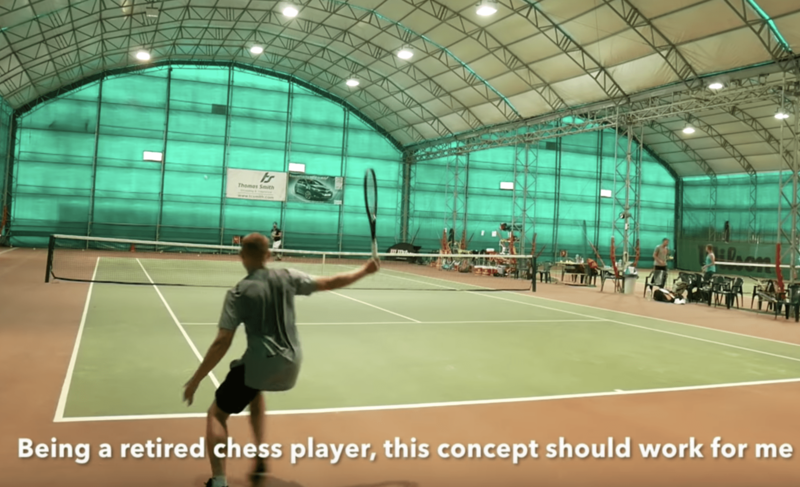 What is different in this video is that the focus has shifted from gear to general tennis improvement. What I mean with the title: “The Bumpy Road to Improving Your Tennis” is that learning is never a straight line. It will bring frustrations and self-loathing, as well as some truly inspirational moments when you feel like you’re understanding something in a new way or getting hang of a stroke technique or a new movement pattern. Like I mention in the video, I used to be a pretty decent chess player (FM title) in my junior years. I won the Junior championship in Sweden as well as the senior team championship and competed quite a lot internationally with a draw against current World Champion Magnus Carlsen as one of my more noticeable results. What I should benefit from with my chess background in tennis is patterns of play, patience, and strategy. But although I feel I have a good understanding of these concepts when I watch other players, I often fail to use them when I am on the court myself. Instead, I stress points, go for unnecessary winners and ill-conceived drop shots. How do I change that? 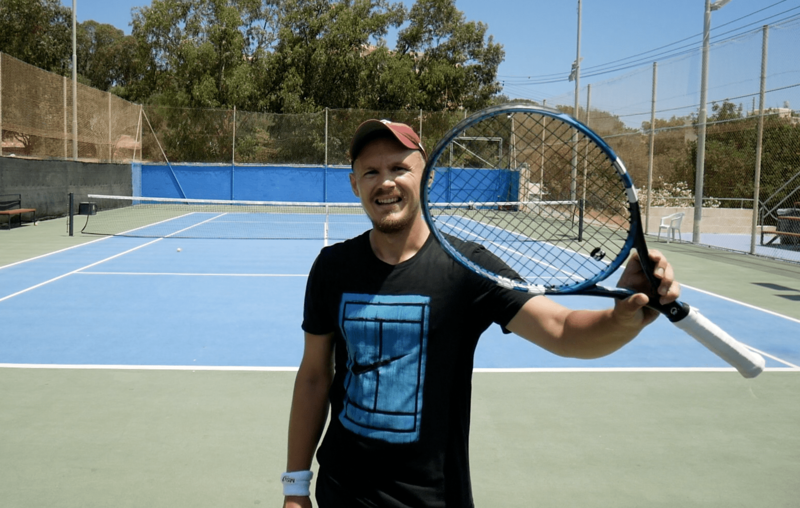 Well, my journey to improve as a player will be a part of a new form of content will talk more about the process of becoming a better tennis player. It is not a series of lessons since I am not a licensed coach and there are already tons of good coaching content out there, but more of a “learn together with me”. How to change basic stroke mechanics – am consistently trying to improve my basics. Patterns of play – This is something I definitely need to work on. A consistent construction of points and implementation of strategy on the court. Footwork – this is where most recreational players fail in my point of view. Including myself. Staying tough and clear-headed in match situations – I tend to get very tight and fuzzy-headed in match situations. 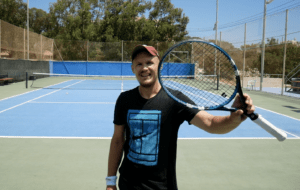 Tennis fitness – Many rec players use tennis as the only form of fitness, but you need to complement it with stretching, endurance and strength work. I am currently checking out Tennis Fitness (Martin Method) to see if it can be something for me to try. There are plenty of more topics I would like to cover. Maybe you have some ideas that would be interesting to discuss in a video or post? Please comment below. The Bumpy Road to Improving Your Tennis is something that we’re all on, no matter what level. So let’s try to make it as flat and enjoyable as possible. PS. Big thanks to my patrons who encouraged me to upload this slightly different form of content. If you want to get early access to content as well as some stuff that is not released on Tennisnerd, please consider supporting this passion project on Patreon.com/tennisnerd DS. I love this and I am very happy you are posting this. I am a 4.5/5.0 player and struggle with many of the issues you are having. Improvement at this level becomes very challenging. I am happy to hear this. I think this level is a very tough one to move up from, but definitely not impossible. I hope to keep this series of content going and hopefully, we will all see some progress! Great to have former pros on the other side of the net. I lost against a player who started his tennis adventure only 5 years ago. His athletism, speed and feel for the ball worked better for him than my 30-years tenure on courts for me. But I agree one can keep on improving its game pretty much from any level. One of my methods is to upgrade rackets, sometimes it actually works. I definitely agree with the importance of footwork. Moving faster, getting better positioned to hit the ball, and using your energy smarter make a world of difference. And many recreational players have no idea of footwork whatsoever. Yes, footwork and consistency are both key to win matches. I agree completely with your comment. Keep working hard on your game and things will improve! All I have to say is: 1) tennis is an amazing and fun game we are all fortunate to be able to experience and play (at whatever level we are at), and 2) when will you be reviewing the new prince tour 95?